Thank you to the Honor Society of Nursing, Sigma Theta Tau International, for their inclusion of a full-page story about the Office of the National Nurse Campaign in their August 2007 newsletter, Always A Nurse. The Honor Society of Nursing, Sigma Theta Tau International is a not-for-profit organization whose mission is to support the learning, knowledge and professional development of nurses committed to making a difference in health worldwide. Founded in 1922, the honor society has inducted more than 400,000 members in 114 countries. Members include practicing nurses, instructors, researchers, policymakers, entrepreneurs and others. The NNNO appreciates the efforts of the Sigma Theta Tau in helping to spread the word about the Office of the National Nurse. Some of the information in this article reviews the legislation that was introduced in the 109th Congress by Representative Lois Capps (CA-23). This included the four primary responsibilities of the Office of the National Nurse that were outlined in HR 4903, the bill that expired in the 109th Congress. To read what is now being advocated, visit this website. We all heard this week that obesity continues to be a growing problem for Americans that is leading to more heart disease and type 2 diabetes than ever before. Jeff Levi, executive director of the Trust for America's Health claims "It's one of those issues where everyone believes there's an epidemic, but it's not getting the political attention it ought to." This is a major reason that supporters of an Office of the National Nurse continue their plight to establish this position within our federal government. We need health care, not sick care, and this begins with prevention. Who are the best educated and equipped to lead this effort? Nurses! Visit Cafe Press today and buy a totebag, a button or a teeshirt to support the efforts to create an Office of the National Nurse. One of our supporters who we will acknowledge in this week's newsletter has created several new logos that we will be featuring on this website and using on our Cafe Press merchandise. Thanks for your emails and thanks for your support. Hi, While surfing the web, I came across your website and found it to be very information. I would like to share your website with my visitors. I was wondering if we can exchange links. For nursing taking the nclex exam, try to checkout my website, i have lots of questions to help you out, not to mention tips and strategies. Thank you to Barbara Ficarra, Host/Producer Health In 30™ for hosting Teri Mills, President of the National Nursing Network Organization on her radio program last week. So many called in to the show that the phone lines jammed! Here is a link in case you missed the interview. Thank you to radio host Thom Hartmann for inviting Teri Mills on his Portland, Oregon Air America affiliate to provide an update about the efforts to establish an Office of the National Nurse. Heidi Tauber, Thom's co-host, declares the National Nurse is all about health care, not sick care! Thanks to Paul Pimental and Mark Schwebke, for making a recording of this interview possible for supporters and interested stake holders to listen to. 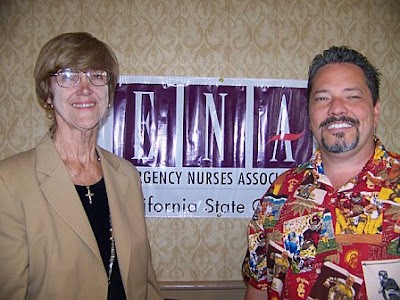 Thank you to President-Elect Janet O'Leary of the California ENA for inviting National Nursing Network Organization (NNNO) Board Member Susan Sullivan to speak during the California Emergency Nurses Association State Council meeting on August 10th. Susan reports that the interest and enthusiasm among the state council representatives was very encouraging. Several members at the meeting individually expressed high levels of interest and requested more information. 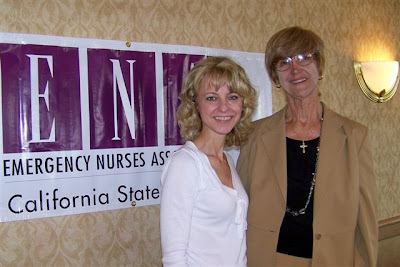 The NNNO is grateful for the opportunity to connect with the California ENA membership, because ER nurses are in a position to readily recognize the value of creating an Office of the National Nurse to promote prevention. Tune in this Friday, August 17th from 5:30pm to 6:00pm EST when the Office of the National Nurse initiative is the featured topic on Health in 30™. Teri Mills, President of the National Nursing Network Organization joins Barbara Ficarra, Host/Producer of Health in 30™ to discuss why a National Nurse is needed to combat the nursing shortage and to provide the leadership necessary to shift the nation into a culture of prevention. If you’re in the listening area set your dial to WRCR AM 1300 Radio Rockland or go online to Health in 30™ and click the WRCR logo (look for a blue box in the upper right hand portion of the screen) or go to http://wrcr.com to listen live. There will be an opportunity for listeners to call in with comments and questions-the number is 845-624-1300. As nurses we’re educated to treat patients and do no harm. But, what about caring for our nation’s health to reverse and prevent harm? There are 2.9 million qualified licensed nurses in this country readily available to improve the health status of our communities. Yet, according to the Center for Disease Control and Prevention, obesity is rising and over 18.2 million Americans have diabetes and about one third of them are unaware that they have the disease. Equipped with political influence and as the country’s largest healthcare workforce, nurses have the potential to make a world of difference in the lives of others; this is our profession’s collective career goal. Representative Lois Capps (CA-23) first introduced legislation to create an Office of the National Nurse in the 109th Congress. This bill amassed the bipartisan support of 42 members of the House of Representatives. Numerous organizations and prominent individuals have endorsed the establishment of an Office of the National Nurse. In April 2007, the New York Assembly under the leadership of nurse and Assemblywoman Aileen Gunther, unanimously voted its support in urging Congress to enact legislation to create an Office of the National Nurse. A manuscript written by Mills and Alisa Schneider MSN, RN Secretary of the NNNO, An Office of the National Nurse: Leadership for A New Era of Prevention was published in the February 2007 issue of Policy, Politics and Nursing Practice. The National Nursing Network Organization (NNNO) is now concentrating its efforts on educating nurses in all specialties and the public about this health policy. Meetings have taken place with nursing leaders, leaders in the US Public Health Service (USPHS), and health policy aides. The NNNO recommends new legislation seek to elevate the position of the Chief Nurse Officer of the USPHS to become the Office of the National Nurse. This plan will result in experienced nursing leadership yet avoid duplication of services and decrease costs. To realize an Office of the National Nurse, the nursing community must unite. Every nurse should get involved. Sign the online petition. Submit your email to receive updates about the campaign. Email Teri to receive a free poster and information on how to go about achieving additional organizational support. This movement has tremendous appeal to nurses who realize that nursing's unique status as "the most trusted profession" (Gallup) presents an opportunity for nurses to truly advocate for change and improve health outcomes. Teri and Alisa traveled to Atlanta for the 35th Annual NBNA Conference to present on the Office of the National Nurse: Policy for A New Era of Prevention. 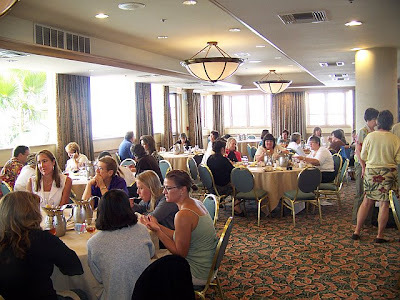 The presentation was attended and well received by over 50 participants. A nurse from Chicago stated that nurses need to act versus react to health policy and practice. She also commented that the Office of the National Nurse is a way to move our illness -care system toward a health care system. Another nurse from New York stated this policy is applicable immediately. A New Jersey nurse claimed health policy issues focused on prevention are essential and should be brought forward to establish the Office of the National Nurse. We attended a session presented by the Honorable Bennie Thompson (MI), "Are We Ready? What is the Federal Government Doing to Assure Our Readiness?" In his presentation, Congressman Thompson outlined what the various departments of Homeland Security were doing to safeguard our country. He emphasized the important work of bringing diversity into the decision-making about emergency preparedness. It was an honor to meet and talk with LCDR Pollard, who works in the Bureau of Prisons for the USPHS Commissioned Corps. I am a nurisng student, and would love to know how I can become involved with the the nursing feild even now. While attending the National Black Nurses Association's 35th Annual Conference, Teri and Alisa met Selma Morris MEd, a member of the African American National Advisory Council (AANAC), an advisory council created from the African American Women’s initiative started by Susan G. Komen for the Cure in response to statistics that show African Americans to have the highest breast cancer mortality rate of any ethnic group. Selma discussed the important efforts she is making in Georgia to promote breast health; she organized and implemented the “East to West Breast Express” on the MARTA, Atlanta’s mass transportation system. Although this effort was successful, had Selma had additional nurse volunteers she would have been able to reach far more people. We are advocating for such a system to be in place so that others like Selma could call on their local National Nurse Office, who would have developed a team through collaboration with local schools of nursing, and retired and working nurses. Susan G. Komen for the Cure greater Atlanta affiliate funded the pilot program, “Breast Express”. After the local success, the national Susan G. Komen For The Cure funded the East-West Breast Express that included the MARTA and BART (Oakland). Many people yearn to make nursing their career, but few have to battle the odds like Valerie Bush. The Independence, Kentucky, woman, who was a medical technician for six years and a nurse’s aide “on and off forever,” waited until her children were raised to return to nursing school. When she finally entered the Gateway Community and Technical College, it was unbelievably stressful. Not only was the single mother dealing with her course work, but her father died, and her youngest daughter was dealing with medical problems, including bipolar disease. Bush, now 42 years old, was “disgustingly healthy when I started” school in 2004, but quite overweight, and she started to lose a lot of the extra girth. Bush was diagnosed with DCIS, and beneath that, metastatic breast cancer. “I lost everything in a week,” Bush said. The diagnosis sent her daughter off the deep end, upset her boyfriend, and meant she had to stop the classes she had waited so long to take. © 2007. AMN Healthcare, Inc. All Rights Reserved.